All rides on the D.C. Circulator will be free through Feb. 28 starting Monday, D.C. Mayor Muriel Bowser announced Friday. 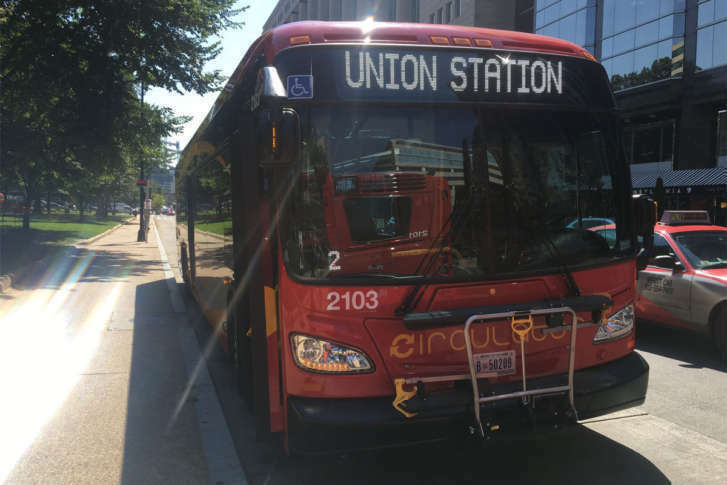 WASHINGTON — All rides on the D.C. Circulator will be free through Feb. 28 starting Monday, D.C. Mayor Muriel Bowser announced Friday. The free rides are part of Bowser’s Fair Shot February campaign. The D.C. Circulator has six routes throughout D.C. and into Rosslyn. It services each stop every 10 minutes. Bowser will also host Budget Engagement Forums in which she will hear from D.C. residents about how they want the District’s money spent. There will be a Senior Telephone Townhall on Feb. 11 at 12 p.m., a forum at the Arthur Capper Community Center on Feb. 21 at 6:30 p.m., a forum at the Deanwood Recreation Center on Feb. 23 at 10 a.m., and a forum at Roosevelt High School on Feb. 25 at 6:30 p.m.